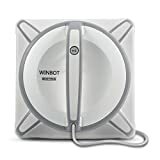 Are you looking for robotic vacuum cleaners which help automatically clean your room and your house, while you can enjoy watching your favorite TV program at the same time? Well, in this technology age, nothing is impossible. 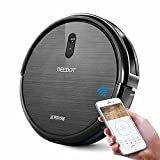 Let me introduce you to the the top 10 automatic robotic vacuum cleaners which will help you clean your house without any hassle.You can also check out here my floor mops and automatic window cleaners review in case you’d like one. Let’s have a look! 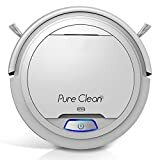 Be it the hardwood floor, tiles, carpets or any other flooring, the wireless Pureclean automatic robot vacuum cleaners will handle it all because it has 2 side auto sweeper brushes. Just charge it for a few hours and let it run. Soon, it will greet you with a neat and clean house. Don’t worry about your pets. It is pet-friendly and won’t harm them anyway. It is built with anti-fall censor cliff sensors, so you don’t need to make a way to move it around either. It will automatically detect a gap and will pass through from there. It’s a cute robot vacuum, and it does a serious job for you. The ECOVACS DEEBOT Vacuum Cleaner costs twice as much as Pureclean automatic robot cleaner but comes with some extra features and accessories. If you have a really big house, get this one. This vacuum robot vouches for a more than 3 hours long battery life with a consistent cleaning. So, you can clean your entire home at one sitting. 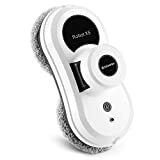 The robot vacuum also comes with a remote control, and with the help of that you can make it function the way you want. You can customize the filter efficiency and even the power adaptor setting with this remote. And the best thing, it comes with a one-year full warranty. Housmile robotic vacuum cleaner is an inexpensive solution to get rid of filthy floors. If you live in a small apartment, this might be the best fit for you. 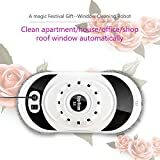 With its Li-ion battery that lasts up to 1.5 hours, two side brushes, drop sensing device, and infrared-sensor features, it gives amazingly outstanding cleaning results in a single click. It has a ‘two work mode’ function with the help of that you can preset the vacuum cleaner whether to clean a small room or a bigger one. To your surprise, it also offers a one-year full warranty. It’s worth to try out. Isn’t it? The KOIOS robot vacuum falls into hi-tech robotic vacuum cleaner’s category. This vacuum cleaner functions similar to ECOVACS DEEBOT N79. You can operate it with the help of the remote that comes with it or simply press the button on the robot. 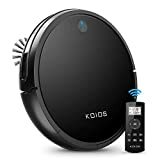 Aside from the powerful suction and durable battery life, Robot Vacuum cleaner by KOIOS has a versatile cleaning mode as well as the smart motion navigation system. 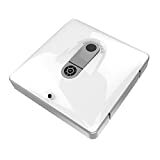 Means, it can reach deeper into every nook and corner of your house and extract the dust. It calls itself a ‘pro’ robotic vacuum cleaner and acts really true to its name. 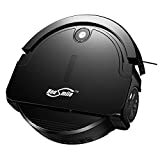 If Housmile robotic vacuum doesn’t meet your expectations and you neither want to spend huge chunks on other high- quality robotic vacuum cleaners, get this one. It is equipped with the little sensors that sense out any obstacles coming its way. It works flawlessly under the edge of beds, chairs, or even in the extreme corners. Just hold the remote and clean your house with this robotic vacuum cleaner like a pro. Let’s be a PRO! 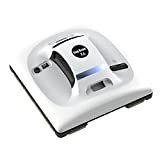 Another ILIFE robotic vacuum cleaner but the model is different. It costs more than the earlier one. The best thing about this vacuum cleaner is that you can schedule your cleaning sessions beforehand. In case, you’re not around to put it off after the cleaning, it will go down as battery runs low. With its multiple cleaning modes, hi-tech sensors, and adaptable tools, it promises a long-lasting battery life of more than 2 hours. It’s worth an effort. Here comes the costliest one and the ultra-functional robotic vacuum cleaner in our list. It is inbuilt with a powerful suction which functions according to the obstinacy of dust of the floor. If your floor is extremely filthy, it will increase its vacuuming strength. 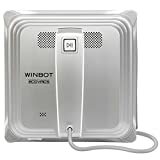 The all other features are almost same to other hi-tech robotic vacuum cleaners. If you’re not a tech-savvy and just want a ready-to-use robotic vacuum cleaner, get this one. 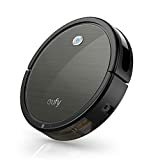 If Power Boost Tech, eufy Robovac 11+ robotic vacuum cleaner hasn’t convinced just because it has no Wi-Fi functionality, go for this one. 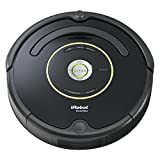 iRobot Roomba 690 Robot cleaner comes with Wi-Fi connectivity, so it makes your work even easier. Configure it with your phone and operate it with the ease of a single click from anywhere. Talking about features, it specifically comes with ‘auto-adjust cleaning system’ apart from the all other common features. Moreover, the ‘patented 3-stage cleaning system’ ensures a high level of cleaning results. If you want a man-like cleaning experience, get this one. Just press the button on the robot and it will do everything itself. 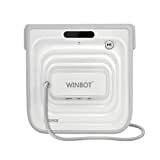 iRobot Roomba 650 Robot vacuum cleaner will automatically adjust itself to the all floor types and the cleaning pace. Not only this, it will also automatically dock and recharge. Schedule your cleaning session once and it will do its work every day without any fail. It costs more than iRobots Roomba 690 but is extremely user-friendly. The costliest and the most advanced robotic vacuum cleaner on our list! 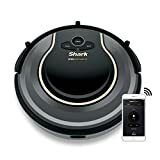 If you want each and every functionality of above-mentioned vacuum cleaners in one robotic vacuum cleaner all together, Shark ION robot 750 is the best for you. 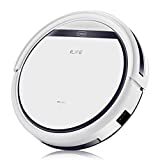 From automatic floor navigation to the deep cleaning and from scheduled cleaning sessions to the flexibility of operating it through a mobile app, this robotic vacuum cleaner is designed with hi-tech technology. Whether it’s a hardwood floor or the tiles floor, this vacuum cleaner would work flawlessly. These are the top 10 best and most reliable vacuum cleaner at the reasonable prices. 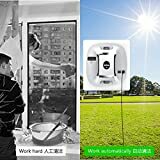 So, get the one and lessen your worries of managing the household dirt.